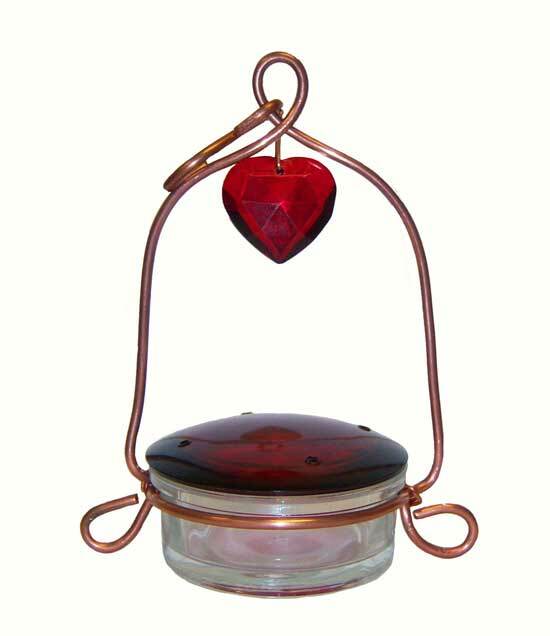 Our Tweet Heart Lantern Hummingbird Feeder from Songbird Essentials Holland Hill is all heart! Made in the USA from copper and glass. Heavy gauge solid copper construction lasts a lifetime and ages into a beautiful patina color. Glass dish is easily removed for filling and cleaning, yet is securely held in place by solid copper wire during use. Red heart dangle and glass dish top attracts Hummers like a magnet. Copper S Hook included for hanging. Great gift idea for that special someone who loves to feed Hummingbirds.